I remember as a child how much fun glow in the dark products were! It was magical, mesmerising and just fun! 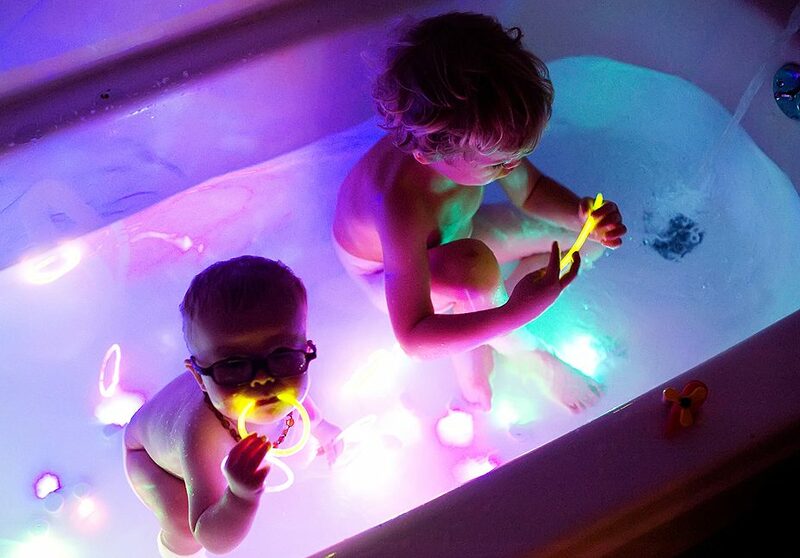 Here are some fun glow in the dark activities you and your child can do together! 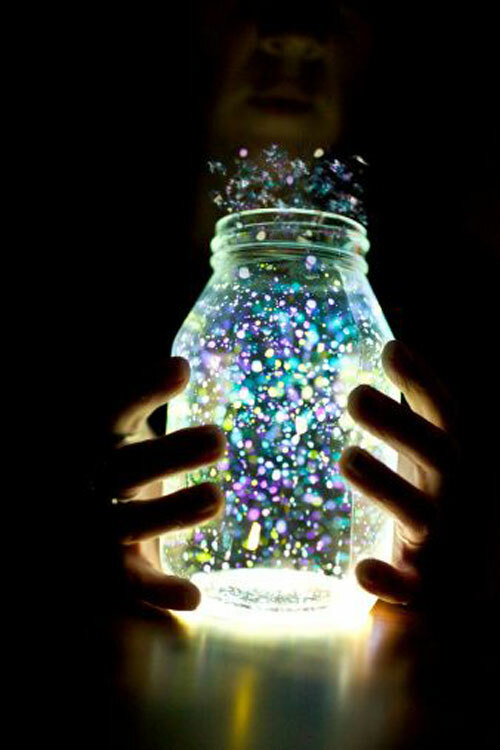 Make a magical glowing fairy jar. 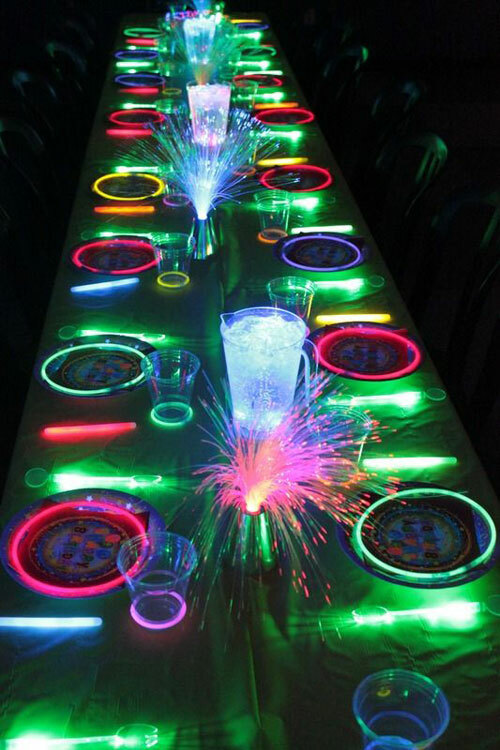 Organise the next birthday party to be a glow in the dark one with glow accessories! 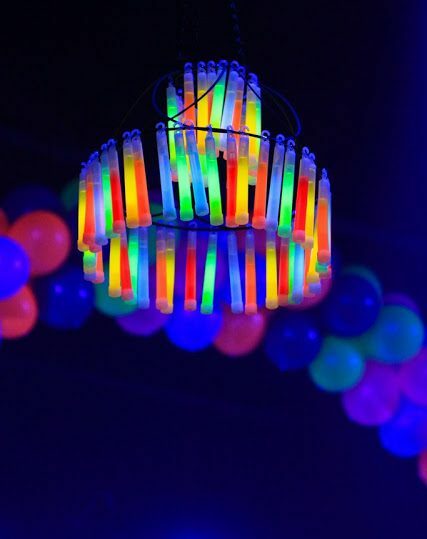 If you are having a party or night even, make a glow chandelier. 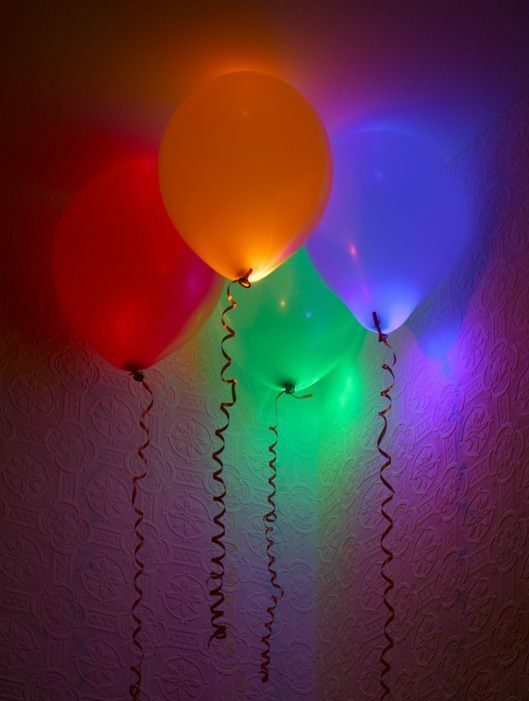 Put some glow sticks in the balloons to make your balloons glow! 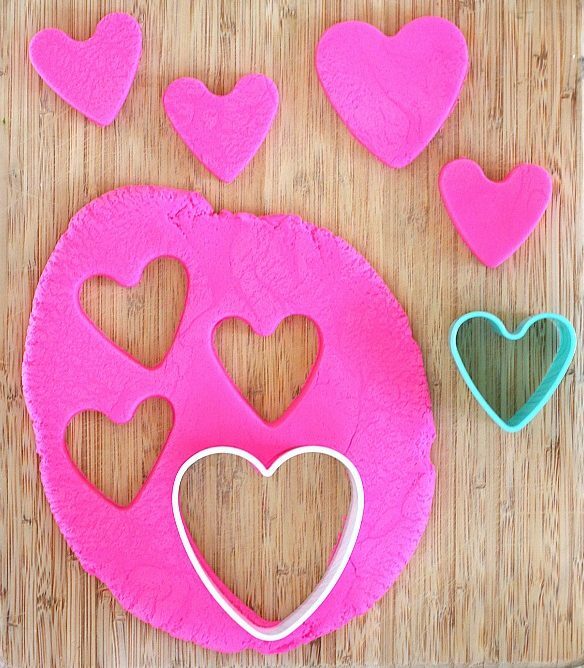 Your little ones will love playing with glow in the dark playdough. 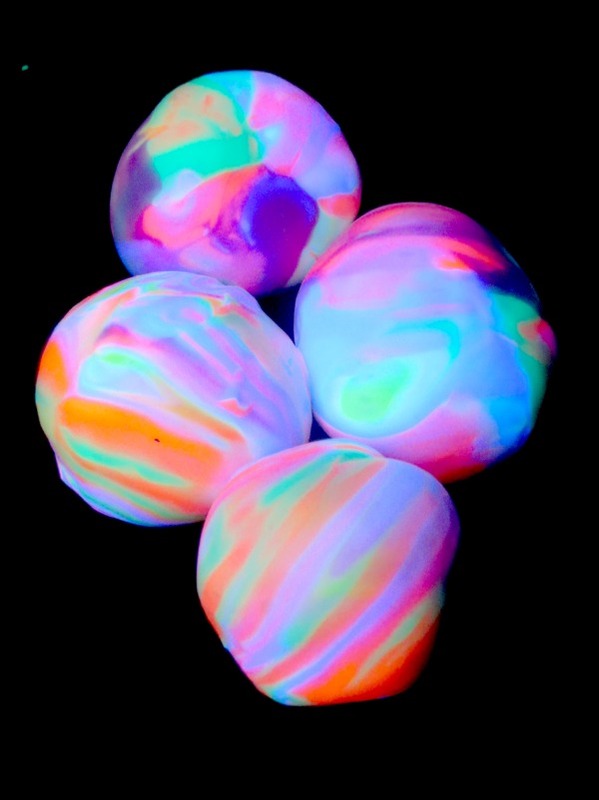 How much fun will your kids have with glow in the dark bouncy balls. 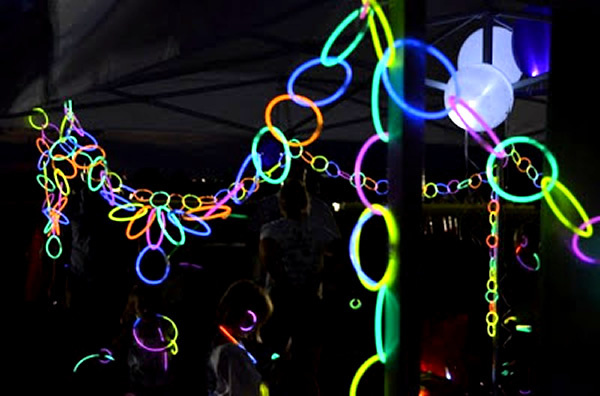 Using glow bangles and necklaces, connect them all together to make some great party decorations. 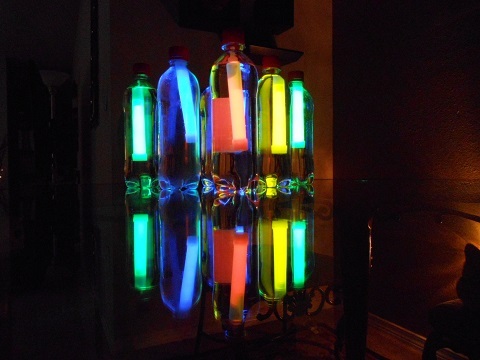 Using old drink bottles, have some glow in the dark bowling fun. Does your kid hate having baths? I bet they won’t if you put some glow in the dark sticks in the bath tub! 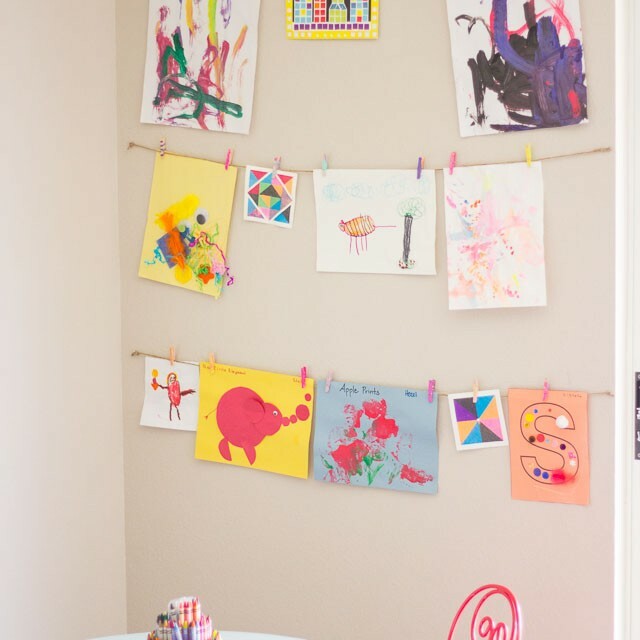 Your kids might enjoy using this free printable to make these little gifts to give away. 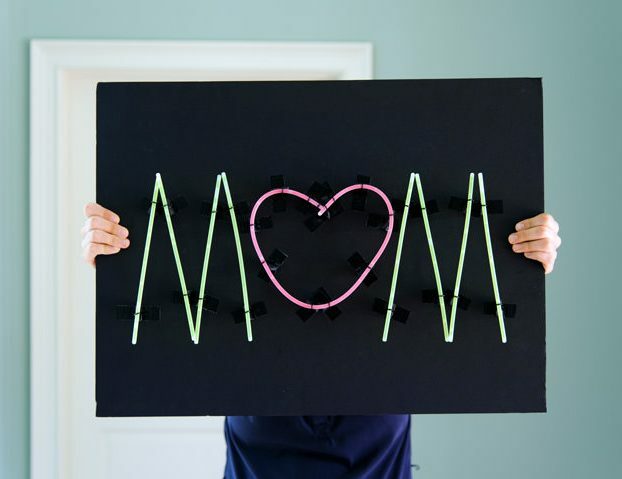 Here’s an idea for a cheap and fun way to make your own neon sign for that special occasion. 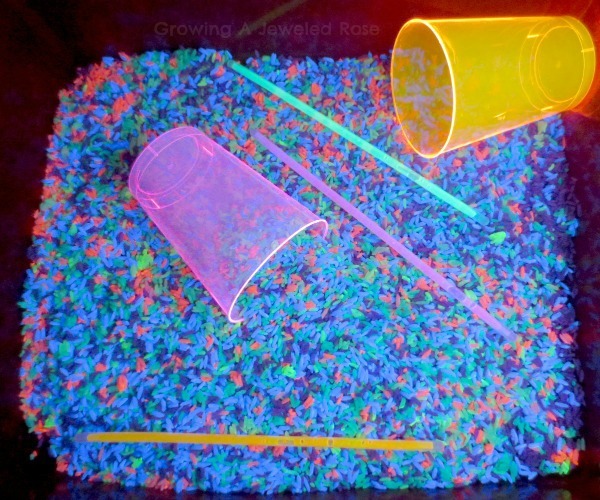 If your child loves sensory play, make some glow in the dark rice for them to have a bit of fun. 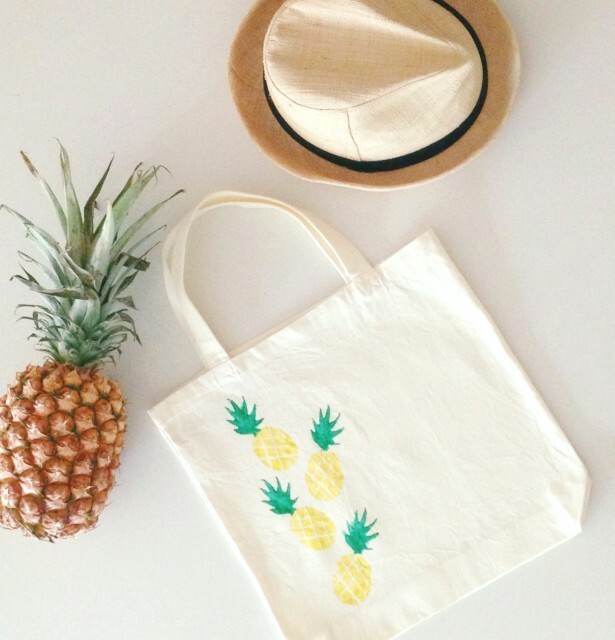 Love recycling? 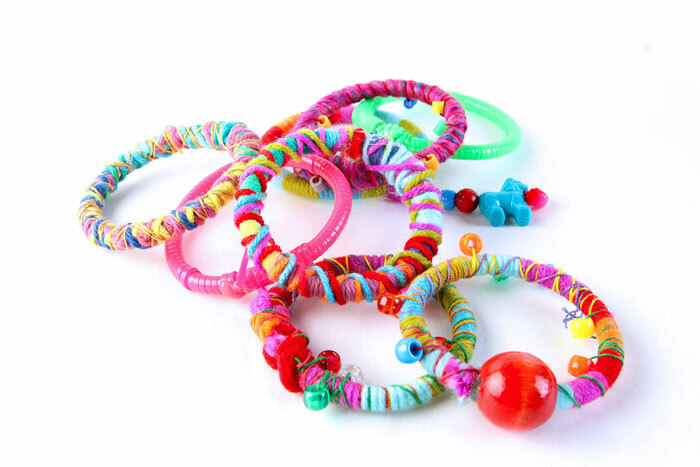 Here’s a cute tutorial on what to do with those old glow in the dark bracelets that have lost their glow! 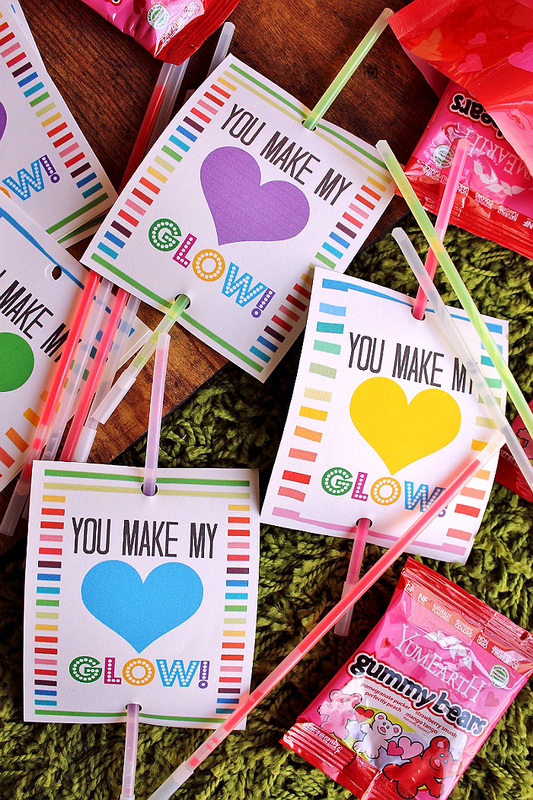 We hope you and your child will have some glow fun!